Bioskin Face Cleanser has a proven track record and is one of Salcura`s most effective and practical solution for more severe cases of eczema, psoriasis, dermatitis and other related skin conditions. Bioskin Face Cleanser contains Omega Oils 3,6,7,& 9. 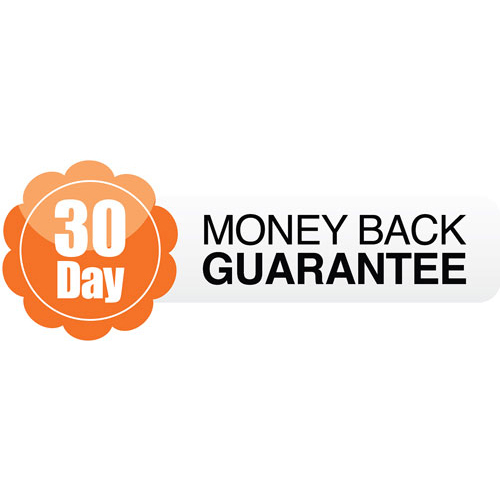 Salcura are so confident you`ll love it they offer a 30-day money back guarantee. See below for details. Bioskin face cleanser is low-foaming and suitable for all skin types, particularly those prone to dryness and sensitivity. Purified Water (Aqua), Coco-Glucoside, Cocamidopropl Betaine, Carbomer, Starflower Essential Oil (Borago officinalis leaf extract), Green Tea Leaf Extract (Camellia sinesis leaf extract), Witch Hazel (Hamamelis virginiana leaf extract), Phenoxyethanol, Sunflower Seed Oil (Helianthus annus seed oil), Beta-Carotene, Potassium Hydroxide, Sea Buckthorn (Hippophae rhamnoids kernel extract), Rosemary Essential Oil (Rosmarinus officinalis leaf extract), Mineral Solution (Sodium Chloride), Pink Grapefruit Essential Oil (Citrus paradisi peel oil), Ethylhexyglycerin, Caprylyl Glycol Acrylates/C10-30 Alkyl Acrylate Crosspolymer, Argan Oil (Argania spinosa kernel oil), Jojoba Essential Oil (Simmondsia chinensis seed oil), Limonene. Splash face with warm water. Pour a small amount onto the hands and rub together. Spread over your face with fingertips in massaging movements. Rinse off with clean warm water and pat skin dry. 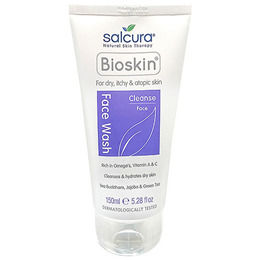 Below are reviews of Salcura Bioskin Face Cleanser - 200ml by bodykind customers. If you have tried this product we'd love to hear what you think so please leave a review. Bioskin Face Cleanser has a proven track record and is one of Salcura`s most effective and practical solution for more severe cases of eczema, psoriasis, dermatitis and other related skin conditions.